When I'm in the mood for a quick, casual Italian meal, La Pizza Rina always comes to mind. 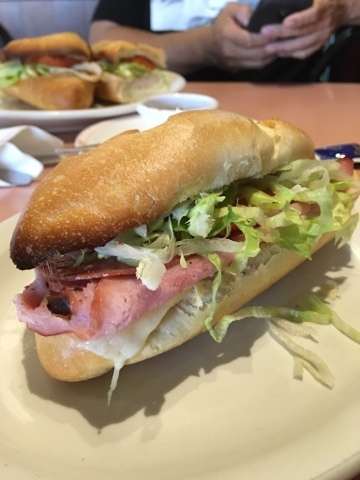 They have a small, yet simple and straightforward menu with a nice selection of appetizers, pizzas, pastas, and submarine sandwiches. Service is just as simple and straightforward as their menu. Not a lot of pleasantries, which may be a turn off to some, but it doesn't bother me because the service is quick and efficient, and the food is good. Today I opted for the 6 inch ham, salami and cheese sub. 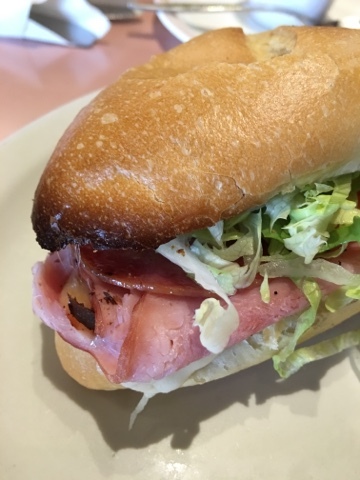 Unlike Subway, where 6 inches are delivered on half of a 12 inch loaf of bread, La Pizza Rina serves their 6 inch subs on a 6 inch loaf of bread, which much more visibly appealing. 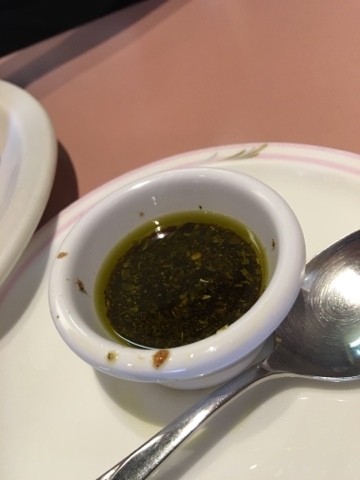 I asked for their special dressing on the side because I'm picky when it comes to dressings. Asking for it on the side allows me to both taste the dressing, as well as control how much goes into my sandwich. Their dressing consists of olive oil and herbs - very light and healthy. According to the menu, their bread is baked by Daily Bread, which is a small bakery down the street from La Pizza Rina. The bread tastes fresh and I love that it comes lightly toasted. 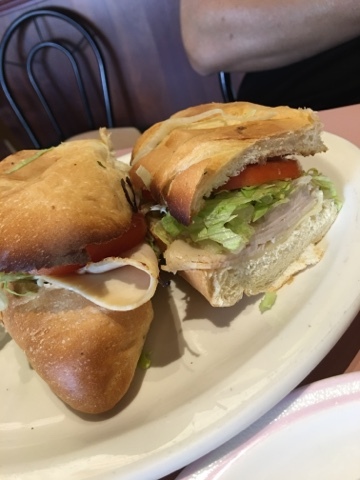 My friend ordered the 12 inch turkey and cheese submarine sandwich. He inhaled it in the time that it took me to eat my 6 inch! My 6 inch was $6.35 and my friend's 12 inch was $9. 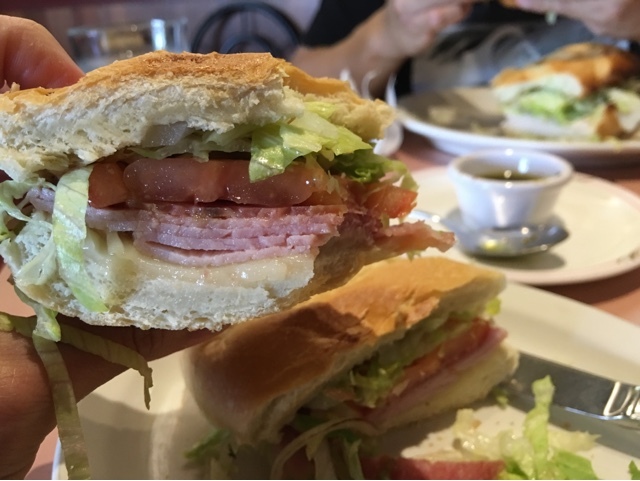 It's a little pricier than Subway, and you don't get all of the toppings that are offered at Subway, but the the quality of ingredients and the taste is way better at La Pizza Rina.